Iconic UK metallers, Paradise Lost, have signed a worldwide deal with German-based metal powerhouse Nuclear Blast! Formed in Halifax, West Yorkshire in 1988 and still boasting 4 of its 5 original members, the band are widely-credited with co-founding the gothic metal genre with their sophomore album, 'Gothic' (1991). Through the years, Paradise Lost have changed their style effectively and reinvented themselves again and again. They elbowed their way from their original melodic death metal sound on their debut, 'Lost Paradise' (1990) to the classic 'Icon' (1993) and more experimental 'One Second' (1997). Finally they went back to the roots with their current release, 'The Plague Within' (2015) achieving some of the best reviews of their career. 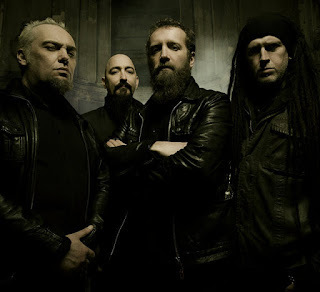 Vocalist Nick Holmes commented: "Paradise Lost's career has run alongside Nuclear Blast Records since the label began in the late 80's. And as huge fans of original death metal, we still have the majority of the label's first releases from those very early days. It's pretty incredible to see how the label has become a real force in metal music over the years, both in Europe and America and now, nearly 30 years later, in a new chapter for the band, it's exciting for Paradise Lost to be a part of Nuclear Blast!" 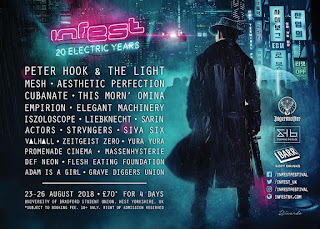 Paradise Lost will be playing at renowned Catton Park based metal festival; Bloodstock Festival, on August 13th where they will be playing the main stage alongside the likes of Gojira, Mastodon and Fear Factory.